PATHWAY CH-2 cluster headache study. 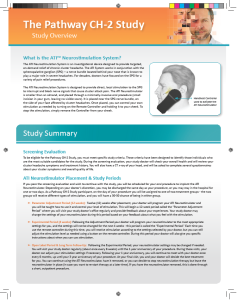 Below are images of the most recent posters on ATI’s European clinical results for your review. These posters were presented at the International Headache Conference earlier and contain the same clinical data that was presented at the ClusterBusters conference by Dr. Tepper and Dr. Robbins. The following are some links from Dr. Peter McAllister who is an enrolling site for the cluster headache study. YouTube video on Dr. Papay at the Cleveland Clinic who developed the approach to implanting the device. The NHF released a news story on SPG stimulation and chronic cluster headache. 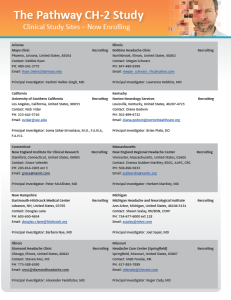 Below is a patient brochure, clinical study sites and a study overview that may be helpful to people making a decision to participate in the clinical trial. New sites are opening all the time and if you are interested, you should stay in contact with Clusterbusters and ATI for the announcements of new sites opening.